This original take on the ubiquitous scrubbing brush comprises two sizes of brush in one space-saving design. The main brush has an iron-shaped, ergonomic handle for optimum comfort and stiff nylon bristles for effective cleaning of large surfaces. Stored neatly inside its handle is the second detail-brush that is perfect for scrubbing those hard-to-reach places around the home, such as the narrow gaps around tap bases.To remove the detail brush from its compartment, simply push it out gently with your thumb. After use it clicks securely back into place for compact storage. Why buy La gourmet® Products? All plastic components are BPA Free. Made from high quality food grade 18/8 stainless steel that is non-reactive, toxin free, non-leaching, unlined, and clean tasting. The specially designed cover allows for easy opening and drinking. The large opening makes it easy to fill, pour and clean. It also fits ice cubes easily. Paint on the outside of the bottle is lead free. The liquids can keep hot/cold for a minimum for 6 hour. 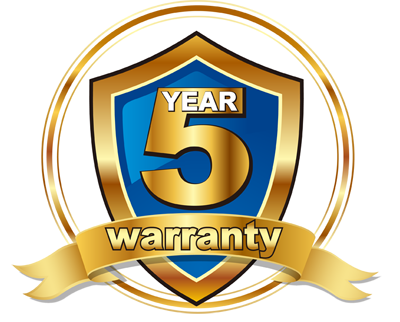 La gourmet® Thermalware Series is warranted free from defective materials and workmanship for a period of 5 years.This warranty does not cover damages due to normal wear and tear of the products. FIRST USE – Ensure La gourmet® Thermalware is cleaned with water and washing fluid prior to initial use. To remove any out of the box smell it is recommended to fill up with hot water and keep for a few hours ( tea leaves can be added to the hot water if smell persists. ) Rinse and it is ready for use. EXTERIOR – Wipe with damp soft cloth and polish with dry cloth. INTERIOR – Use a long brush with a soft head to help in cleaning. Clean with water and dish washing liquid and rinse thoroughly. STUBBORN STAINS – Remove coffee and tea deposits by adding a mixture of hot water and vinegar or lemon juice into flask/mug and soak for several hours, empty and rinse thoroughly. For very stubborn stain you can try a mixture of bicarbonate soda and hot water. Soak for several hours before rinsing. DRYING – Dry with stopper and cap removed from the thermalware. MAXIMUM HEAT AND COLD/RETENTION – Best results are achieved from your La gourmet® Thermalware by pre-rinsing it with hot water for hot drinks and cold water for cold drinks. OVERFILLING – Do not overfill the La gourmet® Thermalware. The ideal liquid level should be 2-3 cm below the rim to avoid spilling when re-opening and also to enable optimum insulation as there is an air gap between the liquid and the lid. CLOSE COVERS TIGHTLY – Ensure both the outside cover and the inner stopper are always tightly closed. SUITABLE – For daily use for keeping hot or cold beverages etc. – For outer flask paint protection, DO NOT use abrasive scourer. Use a soft sponge for cleansing. – Do not use in the microwave oven. – Do not use over direct flame. A family business, Kitchen Craft was established by Thomas Plant in 1850 as a manufacturer and wholesaler of ironmongery and household products. The company has developed over the years to become a respected consumer brand for all types of kitchen products and accessories. Offering an unparalleled choice of products designed for today’s living; cooking, baking, preparation, serving and bar items. Colourworks is a striking and comprehensive range of over two hundred essential kitchen accessories, tools and gadgets creating impact on a huge scale and providing the option to mix, match and co-ordinate in the kitchen. 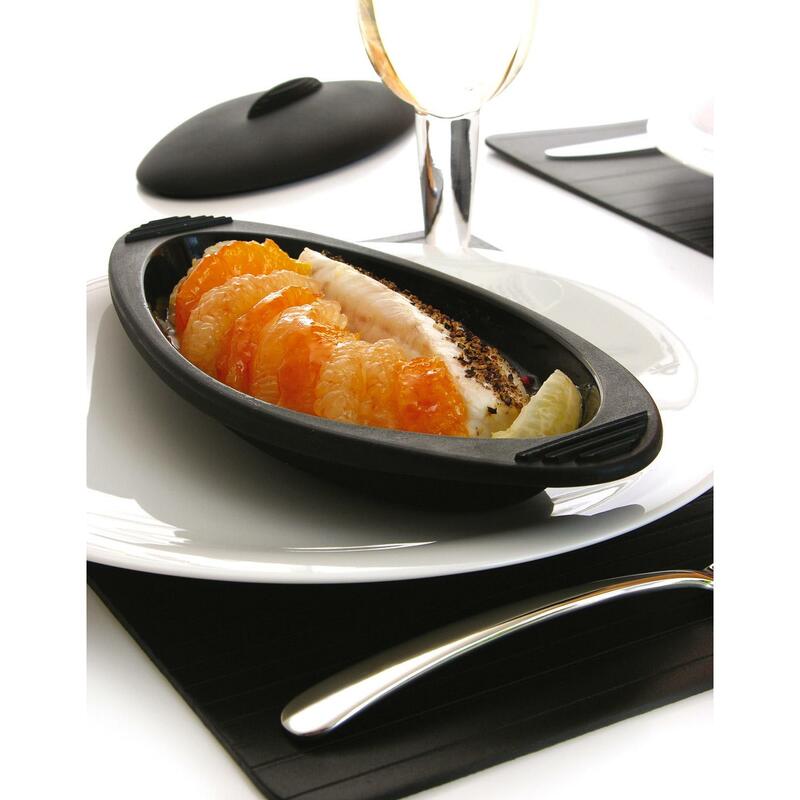 A combination of different materials such as silicone, nylon, stainless steel, ceramic and melamine are used throughout the range, offering both choice and their own benefits to suit different applications and requirements. This flexible, hygienic, silicone pasta server is sure to brighten any kitchen. Completely safe for use on non-stick surfaces it is stain resistant, as well as heat resistant to 260°C (500°F). Can be co-ordinated with a range of other items in the Colourworks range, allowing you to mix, match and co-ordinate your kitchen in a striking array of colours. In 1994, mastrad Inc. is established in France Paris specializes in conceived of the new kitchen tools and the commercialization of. Pursuing ease of use and functionality and quality, all products are conceived and not to neglect a aesthetic point of view too. The product was conceived all the requested beauty. Mastrad Inc. became indispensable in the field of cooking utensils manufacturer has continued pursuing the goal of “creating impeccable seen from anywhere by using high-tech materials, beautiful designs, innovative products.”. 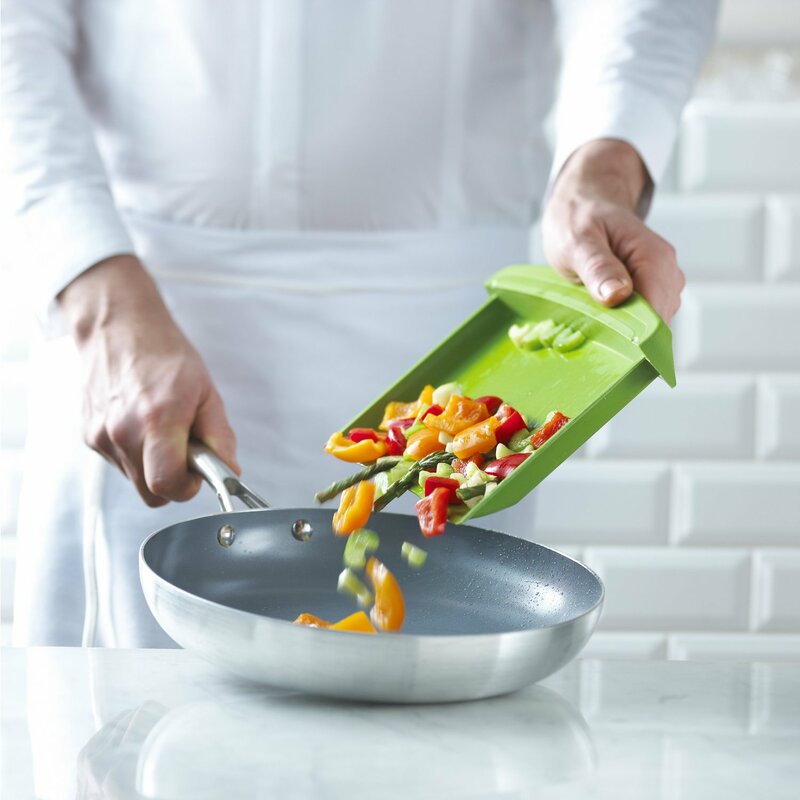 This fantastic, new way of cooking takes into account the constraint of your busy life whilst offering a way of cooking which is full of flavour and nutrients. 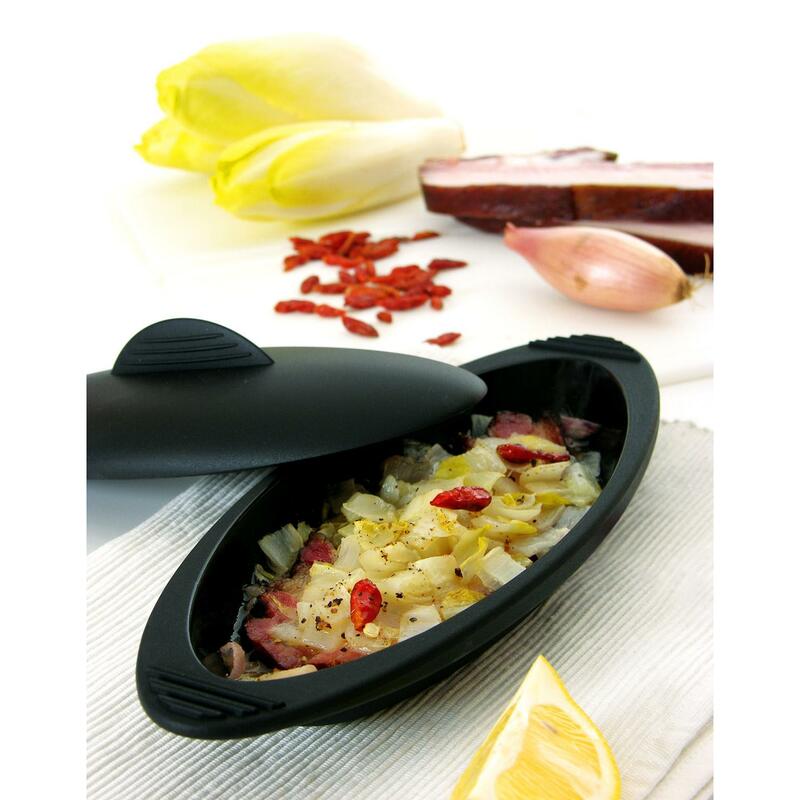 It enables you to cook without fat and offers the same advantages as a steamer or a wrap. Perfect for quick cooking in the oven or microwave. Silicone does not stick, and is quick and easy to wash. Rigid grip handles for easy carrying. Capacity: 600ml. This fantastic gift set includes 2 x Papillote steamers and a recipe booklet. Approx. product dimensions: 27 x 10 x 11.5 cm. 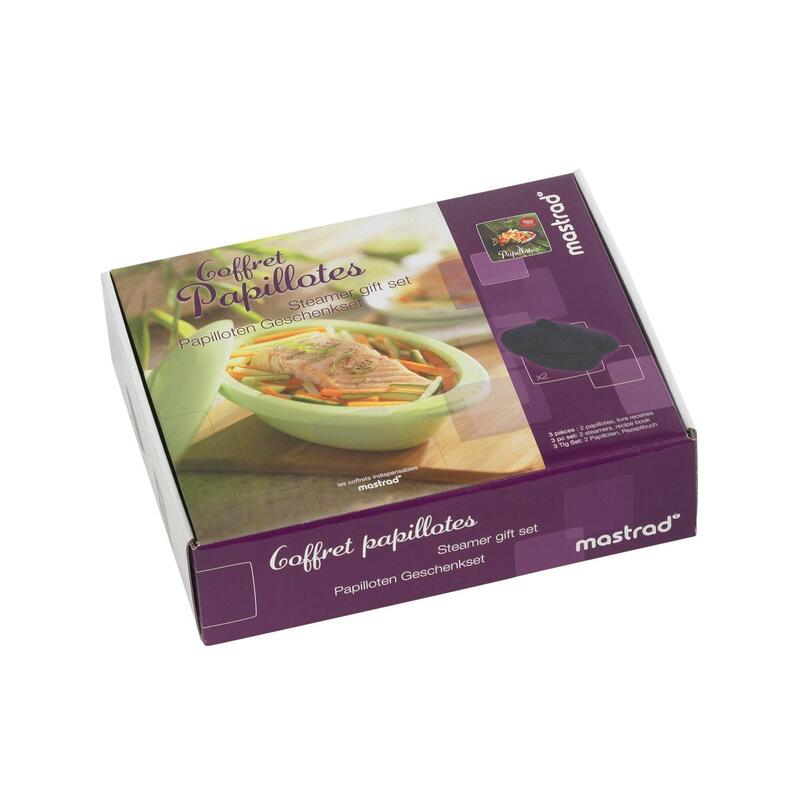 Silicone versatile containers developed by mastrad, steaming, baking, corresponding to any recipe, simmer handy with lid is active in the oven, microwave, freezer, refrigeration. Thought the nutrition and calorie food in retort easier and faster! As tableware can be used verbatim. Easy to clean. Without a non-stick and dishwasher also can be used. Ideal for Cake Pan by taking off the lid. With its own recipe book. Without the lap times available. Microwave cooking is economical and very green! 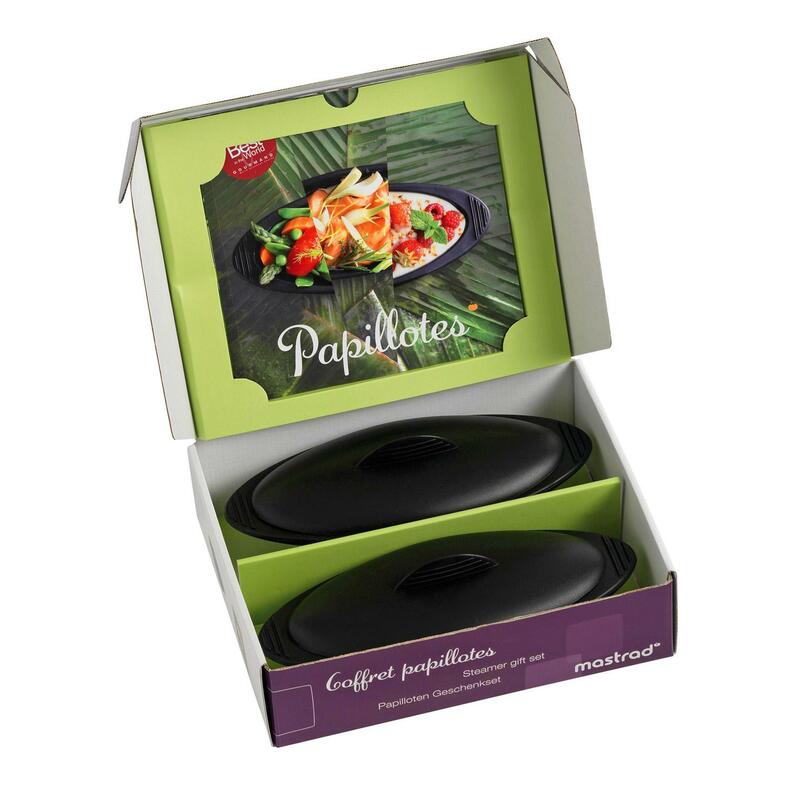 “Easy, fast, tasty and healthy ‘ Papillote was developed as a theme is new product announcement in France until now, have been increasingly buzz as a popular commodity. Instant foods, not just a little bit of time and end up having put very little effort, and delicious home cooking. Please please help make your eating habits. Why Papillote and heated swings not be delicious? Thanks to the specially designed lid, steam generated and condensed into fine particles, again distributed in a container, evaporate again. Cooked foods by repeatedly rotated and thus water in an enclosed container. Oven, remove the lid, you can use like cake pan or baking dish. If lid oven steamed dishes delicious. Cooking in a short time, with destruction of vitamin, missed material of taste and nutrition. From the non-oil cooking is good at metabolic syndrome countermeasures and diet, diet are also great. – From-40 ° c 220 ° c heat-resistant temperature! Microwave oven to the oven, frozen, chilled to. Stylish design, transforms into a dish from cooking utensils. Hand part is not hot by heating in the microwave, because easily transportable. Busy people can use to worry about families with children and elderly homes. Material from adhering, defaulted, so speedy wash. Both sponge and dishwasher is OK.
Microwave is a versatile equipment capable of cooking of steaming, boiling, baking, warm. Can be cooked without oil in that range for the useful and healthy cooking. Which Cook could easily, so perfect for someone who has been busy dinner time and living alone! From today by utilizing the range simple, fast, delicious, healthy dishes to try! 1. Anyway cooking is easy! 3. Collapsed as the type it! 4. Nutrients that flow easily! : Boiled vegetables contain vitamins, minerals and other nutrients, and they pave the way to tend to flowing water. Nutritional content of should be taken with meals decreases because of it. 5. Oil is kept to a small amount! : Usually had a oil in a frying pan cooking, microwave oven in non oil &amp; transformed into healthy cooking by Braising. Click HERE to watch video from Youtube. Trudeau Corporation is a leading North American marketer and designer of innovative quality products dedicated to creating a unique experience in preparing and serving foods and beverages, at home and on-the-go. Built on four generations and nearly 125 years of family tradition and values, we are a leading global supplier of quality kitchenware and tabletop accessories. We take great pride in the products we develop and provide our customers; including this one of a kind Chop ‘N Clear Cutting Board. We hope you enjoy this product from Trudeau! 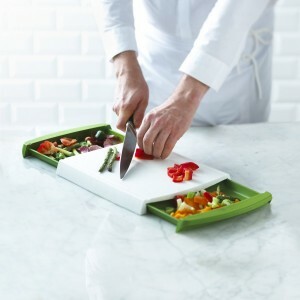 Finally, an all-in-one cutting board designed with YOU in mind! 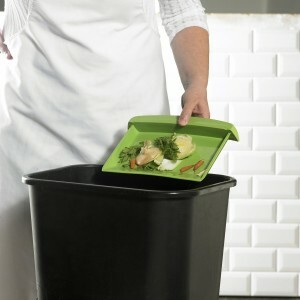 Never run out of space on your cutting board again and keep foods separate from waste! The Chop ‘N Clear is a practical and versatile cutting board with two integrated, detachable drawers allowing for more working space and eliminating unwanted mess. The cutting surface itself includes two drain channels to redirect liquids into drawers and not on your countertops, and drawers lock into place for compact storage. Anti-skid feet keep the board sturdy as you work, and simply toss all parts in the dishwasher when done. Click HERE to watch the video from Youtube. The Glasslock Food Containers are free from BPA (Bisphenol-A), PVC, lead and phthalates and has obtained a number of certificates which prove that it’s clean to use. Also Glasslock falls under the category of soda-lime glass, which is 100% recyclable. The Containers are made from tempered glass, which is three times stronger than ordinary glass. 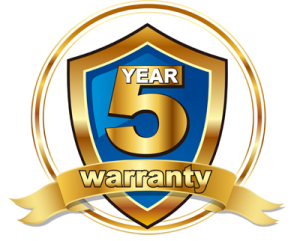 Due to its high solidity, Glasslock will not break easily. The Glasslock Food Containers are airtight, waterproof, stackable and space-efficient, making it easy to keep your foods fresh and your kitchen organized. They are safe to use in microwave, oven, dishwasher and freezer. The specially designed silicone gasket will keep the lid absolute water- and air-tight. No more bad smell in your refrigerator. The locking system is ergonomically designed for convenient open and close. Glasslock is available in 10 different sizes and shapes to meet your food storage needs. It will be easy to make your fridge or freezer look neat and clean. – Awarded the 2007 Republic Of Korea frontier management grand prix ( daily living necessities ). – Named the outstanding green energy industry in 2007. Eco friendly BPA free, No Melanin & No Dioxin Food storage made of tempered glass 3 times stronger than normal glass Locking plastic lids with airtight silicone seals Clean and shiny food storage Stain-resistant & odorless Perfect for food storage Keeping the food fresh much longer User-friendly for the kitchen Safe for use in the microwave, freezer, refrigerator, and dishwasher (top rack recommended).